In 2015, I decided I wanted to move to France. Tim’s job would be taking him on an assignment for a year and I couldn’t come along. I hadn’t lived in the United States in seven years at that point and didn’t have a “home” to return to. Italy had been my home, but I was just honestly ready for a change of scenery for a while. Since I love France and it’s a place Tim and I have tossed around the idea of moving to eventually, I started researching how to get a long stay visa for France. Getting a long stay visa for France isn’t a simple, nor easy process. I took to the internet reading every blog post from Americans that had been through the process before me that I could come across. We’re actually a fairly small bunch, at least that have written about the experience, and not a single other American was in my exact situation. Oh là là (here’s my first lesson from France – we use oh là là incorrectly and mispronounce it. It’s not “ooh la la!” as in that’s fantastic; it can be compared to our expression “Oh my god”.) you are going to need heaps of patience and perseverance to get through this process. And maybe a few bottles of wine. Just don’t spill any on your dossier. As I’ve now been living in France since 2016, this guide includes how to get a long stay visa for France, what to expect at the OFII appointment to validate your long stay French visa once you arrive in France and how to renew your long stay French visa should you decide to stay for longer than one year like I have. Why a Long Stay Visa for France? There are a number of different types of visas that you can apply for depending on what you qualify for. Since I’m not a student or an au pair, don’t have a French employer sponsoring a work visa and am not a spouse of French national, that left me with the long stay visa for France. I read up and since I can still work, just not for a French company in France, this was definitely the visa for me. I’d still be able to continue freelancing, working as an ambassador for Viator, write my book and all the other things I do to earn a living as a professional travel blogger. Actually, many people and especially retirees that want to retire abroad, fall in to this exact type of visa. A study recently conducted by schofields.ltd.uk shows that 57% of people wish to retire abroad and France is one of the top 5 countries to retire abroad in. A better pace of life and a more affordable way of life top the list of reasons why. We definitely don’t think the study is at all surprising and more friends have been asking for advice about how they too can move abroad to France to either retire or continue working at their own businesses like just us. Since my last place of residence in the US was in Phoenix, Arizona and I still hold an Arizona driver’s license, I thought I would need to travel to Los Angeles in order to apply for my French visa. I sent an email to the consulate in Los Angeles explaining that I previously lived in Arizona, but have resided in Italy for the last seven years. I promptly received a response simply stating that I could not apply in Los Angeles. My next email was to the French Embassy in Washington DC. Since I was born in Pennsylvania, I thought perhaps I could apply there. Nope. My patience waning, next I tried Chicago since that is where Tim is from and finally got a response that I would actually need to apply in Italy. After multiple phone calls to first the French Consulate in Milan and then the French Embassy in Rome, I finally verified that I could apply in Italy and it would have to be at the French Embassy in Rome. I still decided to send an email to the French Embassy in Rome explaining my situation yet again and received an email reply that I could apply in Italy and pointing me to the appointment booking system, visa form, requirements checklist and OFII form. I figured if I showed up for my appointment and they tried to turn me away, I’d have written proof I was told to apply in Rome. While I was thrilled I wouldn’t need to cross an ocean to apply, I was majorly stressed about whether the people at the French Embassy in Rome would speak English during my interview. They didn’t in my barrage of phone calls, though the email correspondence did take place in English. I think it’s important to note that even between the different French consulates in the US, every one of them has requirements that vary. If you’re applying, be sure to verify where you apply and then work through the requirements as specifically stated by the consulate where you’ll apply. I’d basically need to print out bank statements and make copies of things. Easy enough. I scheduled my visa appointment using the French Embassy in Rome’s online booking site, printed out a checklist I Google translated into English and got started on ticking things off. I won’t bore you by going through each and every requirement. The first six requirements are straight forward; you fill out two original copies of the visa form, the OFII form and make your copies of your documents. Like me, you may not have ever heard of A4 paper. I was completely unaware that the rest of the world uses A4 paper and it’s a different size than our US letter size paper. A4 paper is 8.27 × 11.7 inches instead of the 8.5 by 11 inches that US letter paper is. It doesn’t seem like it’s that big of a deal, but everything needs to be printed on A4 paper. I wasn’t entirely sure what to provide for requirement 7, a justification of my socioeconomic situation in Italy. What I ended up providing were a letter from Tim’s employer stating we live in Italy as a work requirement, bank statements which showed our rent and payments to our landlord for the last three months, and salary statements showing our annual income. This is to prove your financial situation and that you can essentially afford to live in France without needing to get a job there. So exactly how much money are you going to need? There isn’t any specific amount of money listed that is satisfactory, but I determined through research that I should be able to show I have at least double the monthly rent of the apartment for the full year already in savings or with income from an employer outside of France. Depending on where in France you plan to live, being able to show a minimum of €2500 per month seemed satisfactory. I provided three months of statements each for checking, savings, 401k and investment accounts. I honestly worried way too much over what this letter needed to say. I ended up writing a one sentence statement which simply said: “I, <name>, promise not to undertake any employment from French companies while living in France.” It was written in a formal letter format and I signed it. I also, at the suggestion of a French friend who told me that the French really like handwritten letters, provided a handwritten copy in addition to the typed copy. This is the one that turned out to be very tricky and I ended up stressing about until just two days prior to my scheduled appointment. I needed to find an apartment and get a contract for a visa I didn’t even know for sure I would be granted. It would have proved impossible had I not had a friend in Bordeaux who helped me by putting me in touch with some real estate agents. It’s also a catch-22. Many real estate agents will want you to provide a visa and a French bank account, along with similar financial records as you need for requirement 8 for the visa. You can’t get a French bank account without a utility bill of some sort proving you have an address and a titre de séjour (residence card you receive when you register after you’ve obtained your visa). It was like a challenge and the French were testing how much I really want this French visa. I got around the catch-22 of not already having a visa or a French bank account only because my friend had a friend who was a real estate agent and she could help me. I provided the rental contract, monthly rental amount, a notarized copy of the deed from the owners and copies of the owners residence cards. I have medical insurance and it meets all the requirements with coverage for medical expenses up to $40,000. What should have been easy though, turned out not to be. I needed a letter from the insurance company stating that under my policy I am covered for medical expenses, emergencies and hospitalization for a long stay in France, with the limit amount of coverage or unlimited if there is no limit of coverage. My insurance company would not provide this letter despite several requests and they ended up telling me that if I needed a letter that specific, to go buy insurance from another company willing to provide it. I bought a plan from Insubuy. It cost $420 for the year, offered a 100% refund should I not be awarded my visa and provided a visa letter. I didn’t even know where to start with this one. Thank God for Google. I figured out that I could request a criminal record certificate from any Procura in Italy. I Googled my local one and downloaded the request form with instructions. I also determined I needed a stamp called a Marca da Bollo for €16, which apparently goes on official papers like this. Great! I determined where to buy the Marca da Bollo, set the alarm and was feeling pretty good about myself for figuring this out. Off I went to the Procura in the morning with my form and the Marca da Bollo I purchased. First, there seemed to be a problem with the form. The clerk didn’t speak any English and I couldn’t deem what exactly the problem was. Now that I’ve learned about the A4 paper, I’m pretty sure the problem was that I didn’t have it printed on A4 paper. Silly me for thinking I could pay the €3.84 fee for the criminal records with cash or a credit card. This is Italy! I needed another stamp simply called a Marca for €3.84, the amount of the processing fees. So I had to run out to the Tabacchi, where you obtain these office of finance “stamps” from. Back at the Procura with 12 minutes until the cut-off time, I’m juggling my paperwork with my wallet to get a ticket from the parking meter and my Marca da Bollo blows out of hand with a gust of wind. There I am chasing it down the street when it blows under a parked car. I rescued my Marca da Bollo and successfully submitted my paperwork minutes before the cut-off time. It took three business days and I just had to pick my certificate up from the Procura. In additional to the listed requirements, there were a few extra things I came prepared with since I was traveling six hours away to Rome for this appointment. Birth certificates were listed on all the US consulate websites, so even though it wasn’t listed on the French Embassy in Rome’s list I brought it and they did ask for it. Marriage certificates were also listed on all of the US consulate websites. They did need to see it since Tim and I have joint bank accounts and he was mentioned throughout my dossier. A letter stating the purpose for living in France was listed on all of the US consulate websites, so I prepared this in the formal letter format and stated that I planned to research and write a book, take some classes at the wine school and immerse myself in the language and culture. I presented both a typed and handwritten copy. Tim wrote a letter recommending me for the visa. He also used the formal letter format and included both typed and handwritten copies. This handwritten letter in particular elicited a big smile from the ambassador. Photocopy of Tim’s passport, which they used to compare his signature on the letter and verify his identity against our marriage certificate and financial records. My expired passport with my original Italian visa. I grabbed it at the last second and they did indeed need to see it. On the day of my interview, I arrived 30 minutes prior to my appointment time at the French Embassy in Rome. I showed the guards outside my printed out appointment sheet and I was not permitted entry until 15 minutes prior to the appointment. I went through security, presented my appointment sheet to another person in a little booth, and then was seated in a waiting room. When I was called for my interview, I went in and was asked to present my entire dossier. I was immediately asked which type of visa I was applying for and what my purpose for applying was. Having written my letter of purpose, I was prepared already with my response. The interview lasted about one hour and we went through each requirement on the checklist. I was asked things like how long I planned to stay in France, if I had plans already for where I would move after France, how I make money, which countries I have bank accounts in and pay taxes in, what my profession is and how I obtained my rental contract. At the end of the interview, I was asked to present the processing fee of €99 in exact change. The Embassy only issues biometric visas, so I was fingerprinted and my photo was taken. It all felt like it was pretty much a done deal. We’d had friendly conversation throughout and they were quite impressed that I was prepared with all the extra documents they requested. I’d shown I was serious. I was handed back my passport and told that I was receive an email with the decision in 2-3 business days. If the decision was favorable, I was to come back with my passport and my new visa would be affixed. 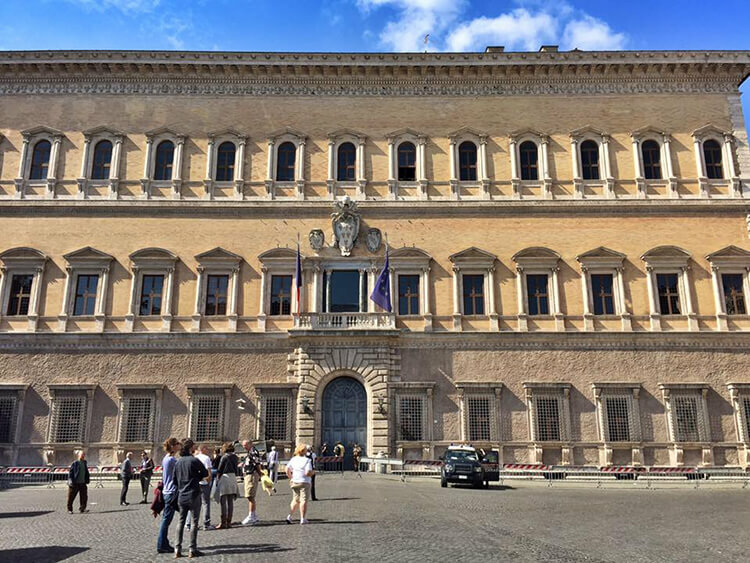 Unlike in the US where you bring a self-addressed prepaid envelope and your new visa can be mailed back to you, I had to go retrieve my new visa from the Embassy in Rome once I received the email stating the Ambassador had reached a favorable decision. Since I’m not French, I printed out my email in order to show to the guards I should be granted access to the Embassy. I had to drop off my passport before 12pm and I could pick it up with my new visa affixed in it promptly at 12:30. I was also handed my OFII (Office Français de l’Immigration et de l’Intégration) forms with all the necessary stamps, which need to be filed at the local Prefecture within 90 days of arriving in France. After I left the Embassy, I went around the corner and let out a few whoops of joy as I jumped up and down in the street. Romans, no doubt, thought I was nuts. But I didn’t care. My passport has a new French accessory and I worked hard to get it. Being awarded the long stay visa for France is just the first hurdle. After arriving in France, you need to complete the stamped OFII forms that you’ll receive with your new French visa within 90 days of your arrival. Completing this as soon as possible is best, as if you don’t complete the OFII process your visa is not valid. There are two pages for the OFII form. The first is the actual form which has been stamped by the French Embassy. The second page is an instructional page with all the OFII office addresses listed by department. Once you’ve settled in and found an apartment, you complete the OFII form with your information including your new French address, your visa number and your date of entry in to France. Along with the completed form, you’ll send the following documents via mail to your department’s OFII office. You can purchase the timbre de OFII online, which is the tax you pay to immigrate to France. The fee varies from €60 to €250 depending on your visa status, but it is €250 for long stay visa holders. If you entered from another EU country you’ve been living in like I did from Italy, you won’t have an entry stamp. In this case, I included a copy of my Italian visa. Now that you’ve gathered up even more documentation, you’re ready to send your OFII file off to the OFII office assigned to your department. You can find all the department addresses listed on the second page of the OFII form or online on the OFII website. If you’re unsure of your department, it’s actually very simple to determine: your department is the first two numbers of your zip code. My zip code is 33000, therefore my department is 33. Address your envelope and head to your nearest post office. Believe me, you’ll develop a relationship with your post office over your time living in France just as you will with your bank and many others. With your envelope in hand, ask the postal worker to help you send it recommandé avec avis de réception. This basically means you’re sending your file by registered mail and you’ll receive a receipt notifying you that it has successfully been received by the OFII office. It’s a little bit extra to send registered mail, but the few euros is worth knowing your very important forms got to their destination. If you’ve sent mail before in France, you can also purchase your stamp on the mahcine in the post office. Just select lettre recommandée and then add the avis de réception service. But don’t drop it in the box after you’ve place the postage on – hand the letter directly to the postal worker so that they can stamp both the letter and your receipt. It takes a minimum of six weeks but no more than 8-10 weeks, and you’ll receive a letter from the OFII office with your appointment date for a medical exam and review of your dossier. If you haven’t received this letter within 10 weeks of mailing your forms, take your registered letter receipt to the OFII office to ask about your appointment. the letter you received from OFII for your appointment (OFII Convocation). This is like your admittance ticket to the office. Without it, you’ll be turned away and miss your appointment. justificatif de domicile no older than 3 months old. This can be an electricty bill, gas bill or a certified copy of your lease if utilities are included. Cell phone bills are not accepted. I also like to just bring my entire dossier that contains all my documentation, that way I have anything they might ask for in addition at the ready. Make sure you arrive in plenty of time before your appointment. As I already said, have your OFII convocation ready because you’ll present this in order to enter the building. You may also go through a security check before entering. Present your letter to the person at the desk. You’ll be handed some forms to complete with your medical history and then your file will be placed for the doctor to call you. I was a bit stressed out about the medical exam because I didn’t know what to expect. It’s very simple and easy. You’re first called for the chest x-ray to screen for tuberculosis. You remove everything from the waist up, including jewelry. So it’s best to dress simply and leave any jewelry at home. The whole thing takes less than one minute. Then the doctor will call you in to an exam room to review your medical file, ask about your medical history and your health insurance while in France. You may be examined. If you do have any illnesses, bring documentation from your primary care physician to answer any questions about how it is being managed while you are in France. The doctor will sign off on your file that you’re considered fit and healthy to remain in France. The file will be given to the front desk and you’ll be called shortly to review your dossier once more time. You’ll be asked to present your timbre for payment of your resident tax, then receive your first titre de séjour. This is a sticker placed in your passport along with your visa and serves as your legal documentation as a resident of France. And that’s it! You’re done with all of your paperwork, until you wish to renew your French visa in a few months time. About six months in to my what was supposed to just be a one year stint in Bordeaux, I decided I wanted to stay and Tim agreed Bordeaux would be a nice place for us to settle in. Not to mention the fact that I basically now plan to die before I give up my apartment after the hell I went through in finding a place to live. So the next thing to do was figure out the process for renewing a long stay visa for France, which is also known as renewing a titre de sejour. For the first five years that you live in France, you must renew your titre de sejour annually. Once you have lived in France for five consecutive years, you’re eligible to apply for a permanent resident card. It’s not really a permanent residency, as that must be renewed every 10 years. But I look forward to the day that I only have to deal with this whole process once every 10 years! You should check your department’s Préfecture website to verify any specific requirements, as each department can have their own procedure. We live in the Gironde, Department 33 and all references to the renewal procedure I’ve now completed twice are per the requirements of the Préfect de la Gironde. There’s also a place on the very bottom of the application where you can note any dates that you are unavailable for your appointment, and you should list them in French particularly if you have any travel plans and you’ll be out of town. You must include the proof of payment for the resident tax, which you purchase a timbre for. This is purchased online. As of 2018, the resident tax is €269 per year. You’ll gather up the dossier of the list above and take it to the post office. The dossier must be sent in a specific type of envelope, otherwise the application will not be accepted and you will not receive the notification that it was processed. The application form specifies the type of envelope and your post office will know exactly what you need. It is an envelope “suivie 20g” for documents and you will fill in the address of the préfecture and your address. Then drop it in the mail box marked for within France. You’ll receive a receipt assuring you that your application has been received and you should receive this within 30 days. If you haven’t received the receipt within 30 days, check with your post office as it could have been lost and you may need to resend the application and dossier. In another couple of weeks, you’ll receive a convocation for rendezvous. This letter will have the date, time and specific window at the préfecture on and at which your appointment will take place. an attestation from your French bank with your bank statements for 12 months dated, stamped and signed by the bank showing that you have maintained a mininum balance equivalent to 12 times the SMIC (salaire minimum interprofessionnel de croissance) as proof of means to live in France. *Note that as of 2018, SMIC is €1500 per month, so a minimum balance of €18,000 must be maintained. If you’ve never been to the préfecture before, I highly suggest making a trip just to ensure you know where it is and where the entrance is. I was feeling on top of the world when I showed up 45 minutes before my appointment the first time I had to go, then couldn’t find the right entrance and skidded in sweaty and with about two minutes to spare. I also like to compare the Préfecture to being like an airport. And the bigger the city you live in, the more crazy it is inside. There’s colored lines on the floor directing you to various banks of windows that look like bank tellers. Each bank of windows has people that handle various things from immigration to driver’s licenses and all sorts of other things. So be sure you arrive in plenty of time. And expect there to be a line, even though you have an appointment. I suggest you just keep the copy of your entire dossier from the time you first applied for your long stay visa and continue adding all the documents each time you complete a new step. Take the entire dossier with you, as you may be asked for additional items such as a copy of your most recent tax return. It’s better to be over prepared and have everything on hand if they ask for it. The person behind the window will call you, and ask for your letter of convocation first. Then he or she will ask you to hand them each item as they work down the checklist to ensure your file is complete. If everything is presented satisfactorily, you’re done and you wait for the letter of decision by mail. If you’re missing items, you may be asked to return for a second appointment with all of the items. If your dossier was satisfactory and renewal of your titre de sejour approved, the letter will state the day, time and window where you can pick up your new titre de sejour. It’s finally upon pick-up when you’ll present your timbre for your resident tax payment. You are so lucky to be doing this when you are, I had to get a proof of no criminal record from Italy for my bar application in the late 90s, pre-internet (or at least pre-doing-anything-useful-especially-regarding-Italy internet), and to further complicate things, I was living in the US at the time, trying to get the same stamps and documents as you. It was a nightmare, even though I used to work at the Italian Embassy in DC — that was eventually what saved me. The woman who had been my boss there got her sister’s son to do it for me. I can only imagine, Carina! That sounds like an impossible feat unless you had a friend in Italy who could buy the stamps for you, as you had your son’s friend do. I still can’t believe that in the age of the internet and digital everything that Italy is so archaic. Wow! What an ordeal. 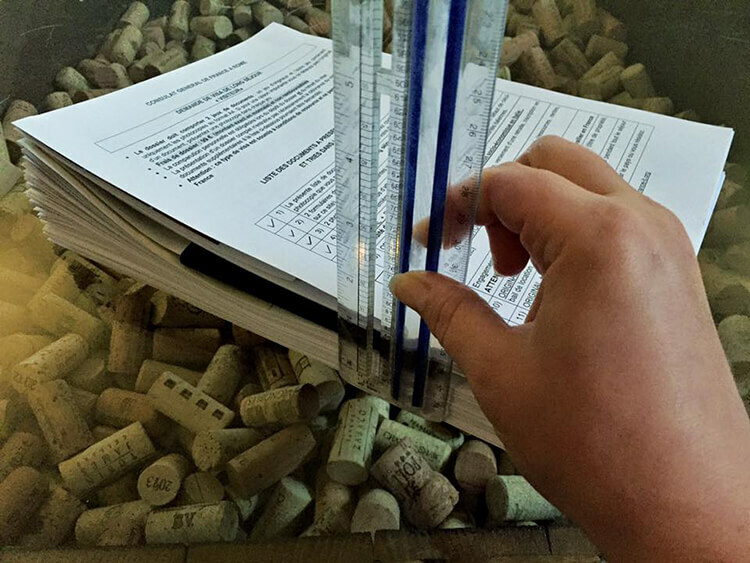 We faced a similar mountain of paperwork when we decided to move to Spain. It was time-consuming, but in the end so worth it when we were awarded our visas. Thanks Kate! It is definitely rewarding just to figure out how to navigate the system and all the paperwork successfully. I’m looking forward to this new adventure, but also scared beyond belief to make such a drastic change. Hopefully Bordeaux is everything I loved on my brief visit! What an ordeal my friend! Congratulations on being thorough, detailed and keeping your wits through the process! Thanks Cacinda! I’m sure you’ll be venturing through my soon-to-be new home. We’ll have a glass of Champagne to celebrate when you do! Hi Jennifer, your articles on moving to France (here and on the Twenty Something Travel site) are really helpful as we consider doing the same. Thank you for sharing so many details! You mentioned that you were issued a 12-month, long-stay visa. In your timeline, you recommended making a trip to France two months before moving (into your new apartment). Did you opt for a 12-month rental contract, or a 10-month contract? I’m guessing we’d be expected to enter France on our long-stay visa. If the process to secure an apartment can take 2 months, then I’m guessing that would mean we’d have to sign a rental contract for only 10 months then. Finally, did the consulate officials give any indication about how to have a signed lease in hand before getting the visa? You mentioned that having a friend in Bordeaux was helpful, since they contacted a real estate agent on your behalf. I just wondered if the consulate expects applicants to have a binding contract in hand before actually knowing they’ll be issued the visa. For the purposes of getting the visa, I’m wondering if one could tentatively use the home address of French friends, and then secure an apartment after getting the visa. Hi Tricia, welcome to an incredibly frustrating but rewarding experience should you decide to pursue moving to France! So, for the visa application it is required to have a lease in hand. Supplying an address is not sufficient. You will have to provide the legal lease documents. Now, if you have a friend in France who is willing to rent you a room and draw up a legal lease document saying you will be renting a room you can certainly do that. However, be prepared to answer questions as you definitely will be asked how you know this individual, how you met and other information. If your friend owns their place, you’ll also want to provide a copy of their documentation such as a resident card or passport and carte de sejour if they are a foreigner living in France. Leases do not work on a year contract. All leases are automatically 3-year contracts, however, the French law is that the tenant only needs to provide 30 days notice to break the contract. My contract is a 3-year contract. When I say come to France two months before moving, I mean you’ll be making trips before your visa starts and entering as a tourist. It’s unfortunately just part of what is necessary to obtain all requirements to even apply for the visa and a cost in the process. As soon as you receive your long stay visa, you have to begin another process to register as a legal resident of France. Without completing this process, your visa is actually not valid and you can be forced to leave France or denied entry if you’re coming back in. You have 90 days from the date your visa starts and you must again have a copy of your lease, plus a utility bill such as gas or electric in your name and matching the address on your lease to prove you actually live where you say that you do. You provide these documents along with copies of your passport with your entry stamp to France and your visa. You mail all of this certified mail to the Office Français Immigration Intégration in your department. You’ll then receive an appointment which you need to appear with even more documentation and have a medical exam and xrays. You’ll also pay for your carte de sejour at that appointment, which is €241. It’s not until you receive the carte de sejour at this appointment that you are actually legally allowed to stay in France and enter and exit as you please during the duration of your visa. I hope all of that helps. Your story is really helpful for those who get stuck in such a complicated situation. Going through so much of paperwork is quite time-consuming but it’s totally worth when you get your Visa. One of my friend had a similar experience while struggling for long stay visa in USA. He preferred path2usa.com for guidance and information. 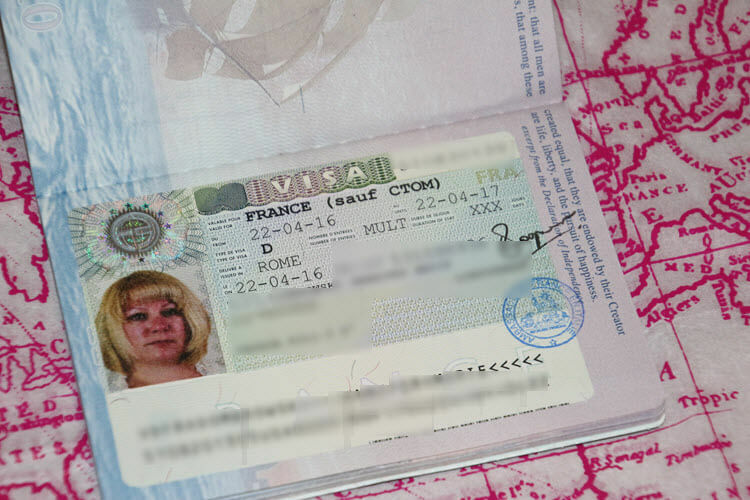 This was a helpful and well written post about getting your long term visa for France. I have a question. Since Both France and Italy are part of the EU, and you already have your Italian residency Visa, why did you need one to stay in France? I thought that now that they are all part of the same, you didn’t need a separate visa for each. The reason I’m asking is that I’m going to stay in Spain for a year and since the Spanish Consulate is so behind, I thought that if I got a French Visa, checked into France (few there where I have a friend who lives), then I could hop a plane to Spain and be good for the year. I’m still not sure if I’d have to check out of France after the year, but I don’t think I even need to do that. No, a visa for one EU country is not good for the visa holder to go and live in any EU country. You would only be able to stay in the EU and Schengen legally, but when it comes to be being able to actually live in the country it is a whole different story. If you held a visa in France, you would not be able to open a bank account, sign a lease, and any of the other things you have to do as a resident of Spain. Also, you need to appear often at the Prefecture to complete various parts of the residency and if you do not, it invalidates the visa – it’s sort of like a checks and balances system to ensure people don’t do exactly what you’re proposing to. If you intend to live in Spain, then you need to go through the proper process to obtain a visa for Spain. Hi Jennifer! thanks for your awesome site 🙂 May I ask, how often do you have to show up at the Prefucture? and is this although the year? If you stay longer than one year as I have, you must renew your visa annually for five years. Then you are eligible to apply for a “permanent” visa, which is really a 10 year visa. So you go to the Prefecture once per year, unless you have other business. Like you I’m getting passed around to different organizations and no one seems to be able to answer this question.. Yes, I do and no, US citizens cannot apply for your first long stay visa at a French Prefecture. You must apply at the French Embassy assigned to your state of residence. Also, it’s 90 consecutive days that Americans can stay in France. You can do this twice a year without any sort of visa. how do you eventually get a visa longer than one year if you want to retire there? Once awarded your first long-stay, you renew it annually at your department’s Prefecture in France. You renew every year for 5 years, then you can apply for a permanent resident visa, which is good for 10 years at a time. I am reading conflicting information online on whether or not I need to apply for a long stay visa or a work permit. I am planning to join my boyfriend who has a company sponsored visa to work in France. I work for a US company with no office in France but they have agreed to let me work remotely from France. Do you know if it is legal for me to work remotely from France for my US company on a long stay visa or is it something I can just get away with if I show I have the financial means to support my self while living in France? Yes, with the long stay visa you can hold a job – just not in France. So you can work and earn income from a US company remotely while living in France. You will continue to pay taxes in the US. We still live here in Bordeaux nearly two years later and are making Bordeaux our permanent home. Our company, which is this website, is an LLC registered in the US. Hi Maddy – I have the same question you had. How did it work out for you? Thanks! Wow, thank you so much for this information! You saved me hours of Googling and when a question pooped into my head, I scrolled a little further only to see that you had the answer already there for me. Thanks, also, for all of your links. My husband is retired and I am moving more and more toward online only work, so we are considering a move to either France or Italy within the year. We lived in Italy for seven years before moving to France. Good luck and let us know if you have any questions we can help with! Firstly, i wish to know if I could apply for a French work visa (longterm) with italian residence permit’s receipt while waiting for its renewal. Secondly, I wish to know how or where my visa will be stamped when I leave Italy for France. You’d really need to contact the French embassy in Rome to inquire about applying for a French visa from Italy with only a renewal receipt. My guess would be that you will have to wait for your renewal to be complete, but the French embassy can give you the definitive answer. Your visa doesn’t get stamped on ever. You receive stamps in your passport when you leave the EU and then re-enter the EU. But you will not receive a stamp traveling between Italy and France. I didn’t either and it was not an issue when I had to submit everything for my OFII appointment and medical exam. Hey! I have a question about where you currently reside. I have been living in TN and when i filled out my forms i was living there and my DL is from there with my address. I just moved my stuff back to IL. But i live in TN some of the time with a friend and IL with family sometimes before I am leave for france. I just made an appointment with the french consulate in ATL but wondering if i have to make it in CHI? I love between the two states. Do you know? You have a state of residence. The state you’re registered to vote in, pay state taxes in and have your official address in is your state of residency. It sounds like it’s TN since you have your address and driver’s license there. Actually, Tim is from Illinois and recently had to re-establish his residency to renew his Illinois driver license. It’s not an easy process. You need to have official documents as proof of residence like a voter registration card and lease or utility bill (like in France, a cell phone bill won’t be accepted) to establish residency. A bit of advice. If you plan to move to France permanently (or at least for the foreseeable future) and will want a French’s drivers license, I suggest you re-establish residency in Illinois and get an Illinois driver license before starting your visa process. France has an agreement with several countries that you can just exchange your driver’s license for a French one, without the expense or having to pass the tests in France. Thank you for your very informative post. I have just been through the whole procedure and frankly found it to be fairly straight forward. I applied at the French consulate in my home state of Texas, applied to the Ofii soon after my return to France and in a matter of two months I went through both the medical appointment and the interview (two separate appointments) and got my Visa Visiteur Long Sejour for one year. My question is, are there any tax ramifications for an American staying in France with a Visa of Long Sejour? I understand that before the expiration of my visa and should I want to extend it I’ll have to apply to the “Prefecture de Police” Is that a straight forward process? I am basically concerned that by staying for a long time in France with a renewable visitor’s visa I would eventually be considered a resident and become liable for income (outside of France) and other taxes. Thank you very much. You pay some taxes in France regardless of the type of visa you have, like habitation tax and tv tax. You must earn income or be employed in France to pay in to the income tax scheme in order to get benefits like healthcare. Is there a defined period of time between obtaining the French Long-Stay Visa from The Los Angeles Consulate and when I must actually arrive in France for my stay? For example, could I apply for the visa in September, but not actually arrive for the start of my stay until April of the following year? I do realize that there is a 3 month window between arrival and completion of the OFII documentation and the medical examination appointment. Is the 3 month window started with both obtaining the visa and one’s arrival in France? I plan to be in Australia from September until April and will go directly to France from there. Thanks for any insight into this situation since the consulate will not respond to that question by email. The 90 days is from your date of entry in to France. The only problem with applying in September, but not arriving until April is that if you plan to stay beyond one year, you’ll need to be on top of both your OFII paperwork to receive your appointment time and then immediately start the renewal process. For renewal, you need to send all your documents in no later than 90 days before your visa will expire in order to receive your renewal appointment. Thank you so much for this very informative post. I have done a lot of research now and your post is simply the best. I am from South Africa, but what I gathered from the French Consulate in South Africa, the process seems as if it is similar to yours. Your detailed, step-by-step guide is wonderful. Since you also had a long stay visa for Italy, could you please tell me if the process for applying for it is similar to France’s? Would you say it is more complicated? Or less? Or more or less the same? Thank you so much for committing these details in a blog, it’s the most helpful resource I’ve found so far, especially about the work aspect. My question is similar to Trisha’s, and further clarification would be excellent. I am still a little lost about the catch-22 of finding a place to live in France. My husband and I are from the US, currently staying in London for the 6 month standard visa allotment. We want to move to France for a year, but how can we apply for an apartment if we don’t have a visa, and how can we apply or the visa if we don’t have a lease? One idea I had was to enter France on the standard Shengen 90 day visa, secure a place to live within those 3 months, and then travel back to the US to apply for the long stay visa in our state of residence, but I’m concerned that we won’t be able to secure an apartment before hand without a longterm visa. I don’t know anyone who lives there, so I don’t have anyone who can help us out with a lease before we apply for the long stay visa. I’d be interested to hear your thoughts. Thank you! That’s why it’s a catch-22! You can’t get an apartment lease without the visa and French bank account, and you can’t get the French bank account without the visa either. But you need a place to live to apply for the visa. What I know some other people have done is to rent an Airbnb for 1-2 months from the date they plan to arrive in France, and I’ve heard that this can be sufficient. However, also know that Airbnbs are illegal and recently the administration is requiring Airbnb owners to apply at the local Mairie for a license. They can only operate as an Airbnb if they receive the license with a number. So I’d be very cautious about this if you go that route. Honestly, coming to France to apply for an apartment before you have the visa is a waste of time. Laws were just changing when we moved to France in 2016 and it is very difficult for foreigner’s to rent. Have you read our article about how to find an apartment in France? Without securing a French bank as your guarantor, it will be impossible. And it takes a good 30 days to open a French bank account, which you also need to do in person. Once you have the visa, that’s really when you need to plan your trip to France to first open a French bank account, and second, begin working with real estate agencies in the neighborhood that you want to live so that they can start looking for an apartment that fits your needs. My understanding is if you’ve lived in France for three consecutive months and are a permanent legal resident (you must live in France at least 183 days a year), you’re eligible to apply for public healthcare coverage. In 2016, France instituted their new universal system of healthcare, called the Protection Universelle Maladie (PUMA). This system grants an automatic and continuous right to healthcare to those who legally reside in France in a “stable and regular” manner. Applying for French healthcare requires you to have documentation that proves your legal residence status and intention to live in France for at least 183 days a year. Collect all the relevant documents and submit a completed application to your local CPAM office. Among the items you’ll need are your passport; visa; birth certificate; deed, lease or rent receipts; and proof of income. An important document to bring is your French utility bill, which both proves that you live in France and demonstrates a long-term commitment to reside in the country. I don\’t know what everyone\’s cost would be, but most retired participants in the French healthcare system pay around 8% of their net income (based on the previous two years’ tax returns) above a minimum income threshold set by the government. Thanks so much for that information, Gabby! I have a healthcare policy and haven’t needed to see a doctor except once when I had a severe sinus infection. So I haven’t gone through the process of obtaining French healthcare and applying for the carte vitale. I don’t know much about this process yet, since I have yet to have that experience. Hi Jennifer – Thank you for your informative blog. I’m an American applying for a long-stay tourist visa to France. I have a visa appointment soon. I would like to do some part-time remote work for US clients while I’m in France. (I have more than sufficient funds saved to cover the year abroad, but I’d prefer to have some income rather than drain my bank account.) I have read multiple blogs, including yours, that state that you can obtain this visa (you said “long stay visa” but based on your description I assume it is the one-year tourist visa) and still do freelance/remote work for an American company or clients while in France. Conversely, I’ve been told by others that anyone on a tourist visa can’t work at all, even remotely for international clients. (One person told me that she could not even teach English online to kids in Asia while on a tourist visa in France.) I saw that you answered a similar question above, but I was wondering if you could provide a little more information on this. You mention that you work, freelance, etc., just not for French clients. (It makes sense to me that if your freelance work does not take a job away from a French person, there should be no problem.) At your visa appointment in Italy, were you asked about your work plans or given any direction? Did you have to provide proof of continuing income from your freelance work? Or did it suffice simply to show sufficient bank funds to cover your stay? My concern is that working remotely might somehow disqualify me from getting a tourist visa. Any advice or insights would be greatly appreciated! Thanks. I don’t know what a one-year tourist visa is or the conditions for it. Yes, you need to be honest. In filling out your application form, you need to complete a section on your profession. We own our company, Luxe Adventure Traveler LLC, and my profession is “writer”. You also need to submit your latest tax return, so it is very obvious if you are earning income outside of France. This is perfectly fine. You cannot, however, engage in employment in France by a French company, with the long stay visa. I m frm India, planing to take education in france for one year. I will be there on student visa for one year, can I apply and get one year/long stay visa for my kids(both below 4 years) who will be staying with me. Hi Jennifer. I\’m beginning the process of applying for the long-stay visa but have a few questions that I can\’t find answers to on the French embassy\’s website. I\’m a US citizen who will be working remotely in France for a US company. Should I list \”Familial or Private Establishment (adult)\” and \”Visitor\” under my plans and the main purpose of my stay? Are there any restrictions on how many times I can leave and re-enter France during the visa period (I will be periodically traveling to/from the US as well as some vacations throughout the rest of Europe)? How far in advance can I apply for the visa? If I plan on moving in September of this year, how soon can I apply for the visa? Thanks for your help! Hi Jennifer. I’m a US citizen who is planning on moving to France later this year and I have a few questions that I couldn’t find an answer to on the French embassy website. If I am applying to stay for 1 year and work remote for a US company (I will not undertake any French employment), should I list “Familial or Private Establishment (adult)” and “Visitor” under my plans and the main purpose of my stay? If approved for the 1-year visitor visa, are there any restrictions on how many times I can leave and re-enter France (I will be periodically traveling to/from the US as well as some vacations throughout the rest of Europe)? If I don’t plan on moving until September of this year, how soon can I apply for the visa? Thanks so much for your help! For purpose of your stay, they want to know why you want to come to France. Do you plan to learn the French language while you’re living in France? Maybe take French cooking classes? That kind of thing. No, there are no restrictions on how many times you can leave and re-enter France. I obviously travel for a living and travel outside of France usually at least once per month. You can start you visa process any time. As it’s already June, you should be requesting an appointment very soon. Just make sure that you are 100% prepared with everything you need before you request your appointment. Thanks Jennifer! The part I’m struggling with is finding accommodation prior to being approved for the visa. I am going through the Atlanta consulate. Do you know anybody who has successfully been approved for a visa by booking a month or so in a hostel or Airbnb and showing plenty of income and savings? I’ve read your post on finding an apartment, but I’m still stuck in the catch-22 of needing a visa and bank account to find housing, but needing housing to be approved for the visa. We’ve heard of people being able to use a booking for Airbnb as an acceptable form of proof of accommodation. Just realize that France has recently really started to crack down on Airbnb as most are illegal. They should have a license number displayed on their listing and there is a legal limit that they cannot rent their property for more than 120 days total in a 1-year period. Whether or not the individual interviewing you and then their manager reviewing your file to approve or deny your visa is completely up to those individuals. Jennifer, if I’m earning money in France by working remotely for a US company, will I be subject to any sort of French income tax (I know I’ll still be subject to US income tax)? Thanks! You will need to contact an accountant familiar with both French and US taxes. We won’t get in to advising on the matter as there are so many factors unique to each individual situation. Great post, Jennifer. I’ve never been to France, yet somehow I’m planning to move there and put up with this mountain of paperwork. I’ll visit first, of course, but I almost want to apply just to say I did it. It’s like climbing the Mt. Everest of bureaucracy. Anyway, you mentioned several times that after five years of continuous residency in France, you can apply for permanent residency. Yes, and you can also apply for citizenship, which doesn’t require any renewal and last sforever. Plus, France allows dual citizenship. There’s no need to renounce your U.S. citizenship from France’s point of view, though you may want to just to do it for other reasons (e.g. FATCA, IRS, etc.). We are now starting our 6th year’s application for the 1 year visa. Last year we requested a 10 year but we were denied. No reasons. We have a house and an apartment, we pay obligatory taxes, we now are concerned with ISF and full residency and so we stay 6 months minus 1 day. Each year that we went, although we had the list there was always something not just correct. It was ok previous but regulations changed. For example on our 5 th year they required now our marriage license translated in French by an official translator. This year my translation of our social security funds was not in an official translator (although enough funds with the two of us – 20K each); they required translation or move enough money into the French account to meet the requirement. We were then ok… except they denied the 10 year resident visa. They simply said try again next year. Two years ago, my husband’s visa request was lost. They found it after mine. My date was renewed 3 months later than his and so now we have to travel to the Valence France prefecture double. Additionally, there is no toilets now available in the prefecture (security ) and there is a 40 person queue for tickets. We need to get there at least 1 1/2 hours in advance to be assured to get a ticket to wait. No reservations available. We are gone for the winter now and our date of renewal doesn’t allow us to apply within the 2 months… so we had to pay the new fee of 269 euro plus 180 euro fine. Disappointing. I understand that each prefecture is different. Avignon prefecture is easy with appointments. Oh well. It’s life. Initially, it was a challenge the first few years 6 trips to get the card, now we are down to a minimum of 3 or 4. I guess that is progress. One thing you didn’t mention is that documents need to be translated by an official translator. Wow, it sounds like you’ve had quite the ordeal dealing with the Prefecture! Each Prefecture is definitely different. We have not had to have documents translated as our Prefecture has not required that for our birth or marriage certificates. We also find it’s just easier to get the certified attestation from our French bank, but also include our US account summaries as well and have never had to have them translated. Honestly, the experience varies a little each time that you go to the Prefecture and varies greatly from Prefecture to Prefecture. We can only talk about it from our personal experience and these are good guidelines to help know what to expect, but things can change constantly. Thank you for all this information. My daughter is marrying a French citizen next year and we are having an awful time figuring out how things work. Every source gives different information. We even had one official say that she should have stayed in France with her fiance instead of leaving every time her 90 days were up. Does it help to have her fiance’s parents write a letter? Or for me to write a letter sponsoring her? She has travelled back and forth from the States for almost four years, and spends holidays with the French family. How can we prove a family relationship? My daughter and I are closing on a house in France next month that she and her husband will live in. I am hoping this provides some clarity to the situation for the officials. It’s completely different if you’re marrying a French citizen and as my husband and I are both American, I’m afraid we can’t offer any help other than to send you to the government website which walks through what documentation you need for family of a French national: https://france-visas.gouv.fr/en_US/web/france-visas/family-of-french-national Of course, this doesn’t apply until they are actually married. Hey, thank you for this wonderful article, it helps a lot. I am trying to move to france for 1 year on an extended stay. I am a US freelancer and work remotely for american clients. I’m wondering if this is something I should bring up or not? I have enough savings to show the minimum funds needed + an affidavit of support, I don’t know if saying I will be working remotely would be good to show them I have income or if it would be a red flag as I’m am not supposed to “work” in France. I was super confused about this as well. I am in a similar position, working remotely as a contractor for a design agency. I just got my Long Stay visa back yesterday so I leave for France in a week! The “not working” aspect means that you won’t seek employment in France and you will have to write a letter promising this. I happen to have one steady contract and was able to provide a note from that agency specifically stating that they are employing me in a remote capacity. If you have an employer, this is a must. If you have a “sort of” employer or contracts with agencies for firms, then that “contract, working remote” relationship is worth stating even if they aren’t strictly an employee, you are technically working for them and so use this to your advantage. If your freelancing work is for many clients and projects, (not for a single or small handful of steady businesses) then you should be operating under your own LLC or S-Corp anyways. You can show that you are working for your business which takes American clients, and provide invoices for the past 6 months that your income is steady and coming from the US. If you are a freelancer and not operating under an LLC or similar setup, then get that done before you leave so you’re actually operating as a legit business for tax and rights protection purposes. But that’s a whole different conversation. Was your letter promising not to engage in any employment in France certified by a notary public? Do we have to certified it? You should check the specific requirements of the embassy location you’re applying at. There’s no such thing as a notary public in Italy, which is where I applied since I was a resident living in Italy. I did not need any sort of certification on the letter, nor have I any of the multiple times I’ve renewed my visa since being in France for nearly three years now. My wife and I have found your comments very helpful. We are applying for a long-term visa in France. We are both resident in the US and retired. We are assessing where and if would like to retire in France. We have friends in Bordeaux who would be willing to sign that we are staying with them. We will stay with them for a while but will be travelling to other locations, using them as a base. As I have worked in France before (30 years ago), and now receive French pensions, we have French bank accounts and file French tax returns. I am UK/US citizen, my wife US. Our plan is to enter France in January. Considering the unknowns of Brexit, I am applying as a US citizen. I know I could enter France in January and my wife could apply for a spousal CDS. However, by the time the interviews arrive I may no longer be an EU citizen. Also it appears UK citizens are having a hard time getting CDSs before the Brexit deadline. I am finding it difficult to see whether there is a specific form that our friends would have to sign, or can they provide their own letter? Also, does this letter have to be accompanied with some stamp from the Bordeaux Mairie or does that come when we go to the OFII? It would appear we would need a copy of their ID for the US visa interview. A more technical question is that I used my UK passport in previous dealings with the French authorities. I am hoping that the switch to US passport does not cause issues. This will show up on our application for the visa here in the US. Any thoughts? This would also support the use of the US/France tax treaty, as we file in the US. Neither of us are British – we’re both Americans. So we can’t help in regards to your British citizenship and Brexit. We also can’t answer anything about having multiple passports. I can’t see why when applying as an American citizen, having a British passport would matter. But you’d have to ask the French Embassy. I’d email the embassy that you need to make your appointment with and ask your specific questions. There’s no form your friends fill out. You need to have a residence, and that requirement is specifically because the French don’t want foreigners coming here and being homeless. So if you’ll be living with friends, then you will need to provide their lease/or home owner’s documents along with copies of their French passports and identification for everyone in the household that is on the lease/home owner’s documents. Then they need to write a letter that you will be living with them and it should include details like if you will be paying rent to them and how much that amount is per month. Essentially they are taking on the responsibility for you. There’s no stamp, and no it doesn’t come later at the OFII appointment. The problem, of course, is that living with someone gives you no proof of residency. That will make things difficult as you need proof of residency to do just about anything here in France from as simple as opening a mobile phone contract to renewing your visa, and only certain utility bills serve as proof of residence. So once you enter France and have to attend your OFII appointment, you’re already going to need proof of residency. First of all, thank you! Very informative And detailed. I have just received my visa and while that process was hell it sounds like I’m just getting into the good stuff. With regards to apartment hunting, how open are landlords to accepting a personal guarantor’s financials (day parents) rather than using a bank? Which leads me to my next question; when applying for the renewal (1st year) of the long stay visa you mentioned having to show a minimum bank balance. I assume this is a French bank balance? Or can this be from a foreign bank (say USA, Swiss)? Last question, how difficult have you found it to move US dollars to your new French bank account? I hear laws have changed regarding deposit amounts and limits to withdrawal in cash. Can you shed any light on this? No, landlords will not accept a personal guarantor. It has to do with their insurance and voids the contract should anything happen. You could get someone to be your guarantor, but they go through the bank too (or through their employer) and they must be French and employed in France. Your bank balance can be from any bank, but it’s much more simple if your balance is in your French bank. To submit your documents from an American bank, they have to be all translated by an official French translator and certified and stamped by the bank. Banks in the US don’t do this certification, so it complicates things. And even with your French bank, it’s not as simple as printing off your online statement. You must make an appointment with your banker in advance, then go to meet with the banker and they will print and complete what is called an attestation that your accounts meet the minimum required balance and are in good standing order. Each individual page of both copies is stamped and signed by your banker. Hi! Great information. Is the interview in English? If you’re applying from within the US, then your interview should be in English. I have started researching moving to France from Washington DC when I retire in 2-3 years. I don’t know anyone in southern France, where I’d like to settle, but my English cousins say to get a place big enough for them to come and visit. (Turns out I have English citizenship as well, who knew). Really glad I found your website, it blows all the other websites out of the water. I’m trying to get a firmer ideas on tax implications for a US expat in France, it seems the double taxation treaty between France and US means the funds I would withdraw from my 401(k) as my source of income would be subject to US taxes only, as you aware if this is true? Can you comment on what taxes I would expect to pay in France? What taxes you pay in France depends on your own unique situation. If you’re going the long-stay route and will fund your living in France with savings you already have and you plan to rent, then you will pay just a yearly habitation tax with is based on a percentage of the annual rent you pay. If you buy a place, then you pay an annual property tax. If you plan to work in France, then that is an entirely different type of visa and you will pay income tax on your French income. Because of FACTA, all banks are required to report US citizens accounts and the US taxes you for federal tax regardless of whether or not you live in or outside of the US. But it’s really best to speak to an accountant that is familiar with expat taxes because it can all be quite complicated when you start factoring in investments and such. We rent. And the reason we rent is because the price of real estate in Bordeaux Center has soared. We had considered buying a place, but for the quartier that we want to live in it is just too expensive currently. I do feel like the more you are integrated and show ties to France, the better it is for eventually obtaining long-term residency. I’ve been living in Bordeaux for nearly 3 years now and have no intention to leave. But I will say that every year that my renewal comes around it crosses my mind that it might not be approved for some reason. Even renting, but being here for as long as I have now and adding things like owning a car and such, makes it tricky if my renewal weren’t to be approved for some reason. But it’s not like they’d kick you out that very day. You’d have time to make arrangements, sell things, ect if the worst were to happen. Wow. Thank you so very much. This was a detailed, well written article and I was really relieved by it as I am currently residing in Italy on a student visa. I was hoping that I wouldn’t have to go home to California to apply. I’m going to look up the embassy in Rome and start the process right away. No, you’ll apply in Italy just as I did. Good luck with everything and feel free to give a shout if you have any questions along the way! Your blog is really helpful and it is enough to scroll down the page to find all of the answers although there is a question which for which no answer is left. No, you’ll receive another email with the decision and if you have been approved for the visa, the times and dates that you can pick it up from the embassy. Best of luck! This was very helpful. Just a question about taxes. I recently read that after staying in France for 183 days you will become a full French taxpayer and will have to pay tax on any income (Even if earned in another country). I am applying for a student visa and my husband is applying for a long term visa. He is also providing a commitment letter to not work. We will not be earning any income (retired) – do you know if we will need to pay taxes on our investments back in Canada? It’s best to speak to an accountant that understands expat taxes for a definitive answer. I don’t know anything about how Canadian taxes work. What I can tell you is that we do not pay French taxes on our investment and retirement accounts that are located with US banks/firms in the US. Any information on cost of visa for kids below 6 years?